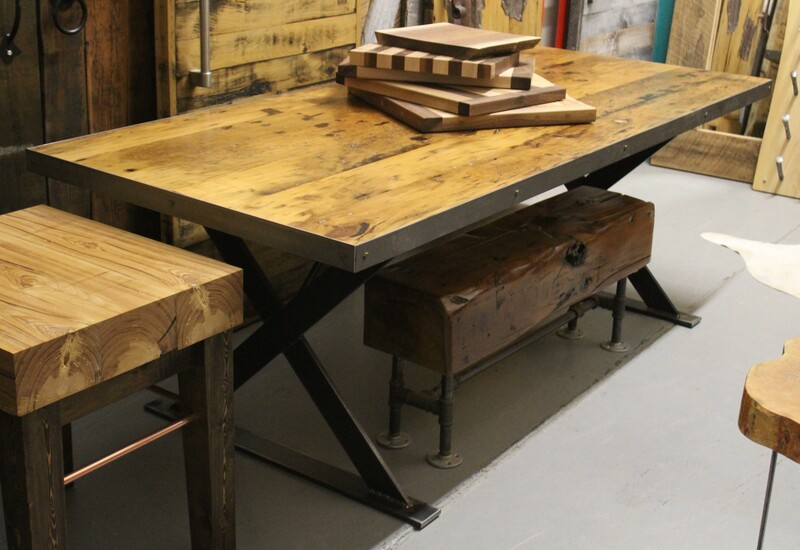 Custom Harvest Table By REBARN! 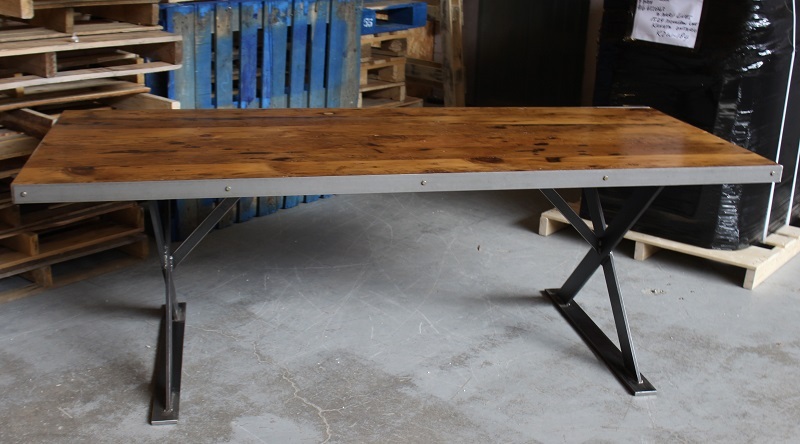 This beautiful harvest table is a custom table we made for one of our repeat customers. 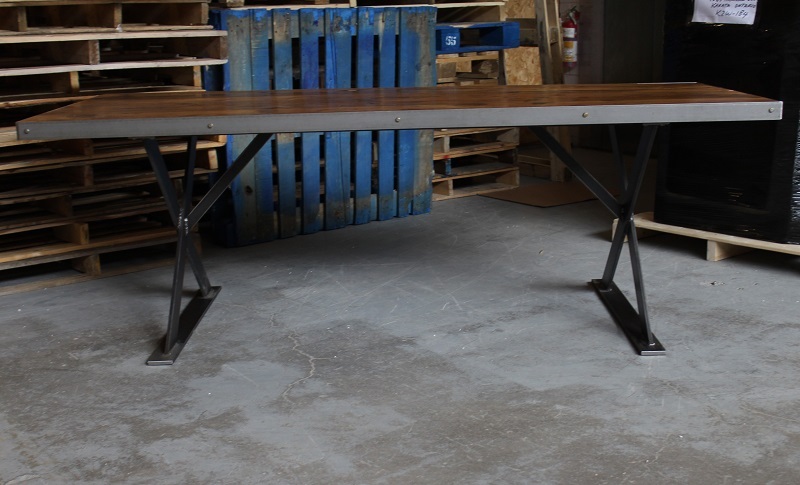 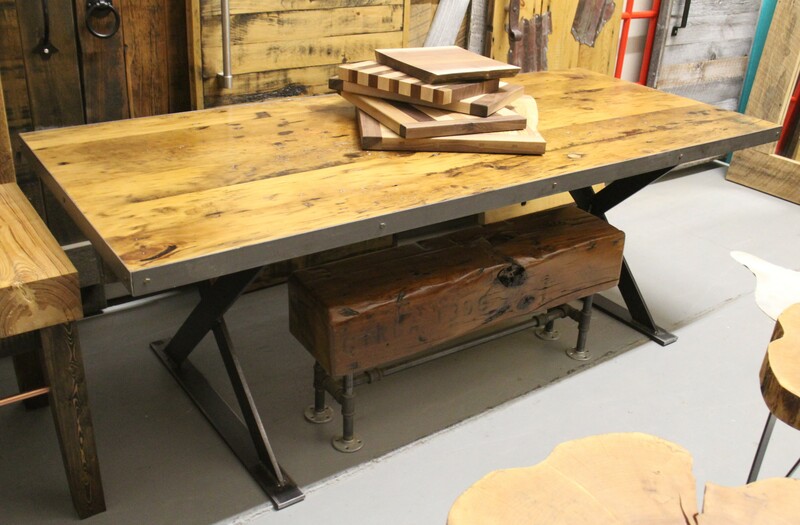 The table top is made of barn threshing floor boards and it is set on a steel trestle base.